'Their 11,000- to 16,000-year association with humans makes dogs a promising subject for the study of ancient human behavior. Credit: Angus McNab, Julie McMahon. A new study suggests that dogs may have first successfully migrated to the Americas only about 10,000 years ago, thousands of years after the first human migrants crossed a land bridge from Siberia to North America. The study looked at the genetic characteristics of 84 individual dogs from more than a dozen sites in North and South America, and is the largest analysis so far of ancient dogs in the Americas. The findings appear in the Journal of Human Evolution. Unlike their wild wolf predecessors, ancient dogs learned to tolerate human company and generally benefited from the association: They gained access to new food sources, enjoyed the safety of human encampments and, eventually, traveled the world with their two-legged masters. Dogs also were pressed into service as beasts of burden, and sometimes were served as food, particularly on special occasions. Their 11,000- to 16,000-year association with humans makes dogs a promising subject for the study of ancient human behavior, including migratory behavior, said University of Illinois graduate student Kelsey Witt, who led the new analysis with anthropology professor Ripan Malhi. Human remains are not always available for study “because living populations who are very connected to their ancestors in some cases may be opposed to the destructive nature of genetic analysis,” Witt said. Analysis of ancient dog remains is often permitted when analysis of human remains is not, she said. Previous studies of ancient dogs in the Americas focused on the dogs’ mitochondrial DNA, which is easier to obtain from ancient remains than nuclear DNA and, unlike nuclear DNA, is inherited only from the mother. This means mitochondrial DNA offers researchers “an unbroken line of inheritance back to the past,” Witt said. The new study also focused on mitochondrial DNA, but included a much larger sample of dogs than had been analyzed before. Molecular anthropologist Brian Kemp of Washington State University provided new DNA samples from ancient dog remains found in Colorado and British Columbia, and the Illinois State Archaeological Survey (ISAS) provided 35 samples from a site in southern Illinois known as Janey B. Goode, near present-day St. Louis. The Janey B. Goode site is located near the ancient city Cahokia, the largest and first known metropolitan area in North America. Occupation of the Janey B. Goode site occurred between 1,400 and 1,000 years ago, the researchers said, while Cahokia was active from about 1,000 to 700 years ago. Dozens of dogs were ceremonially buried at Janey B. Goode, suggesting that people there had a special reverence for dogs. While most of the dogs were buried individually, some were placed back-to-back in pairs. In Cahokia, dog remains, sometimes burned, are occasionally found with food debris, suggesting that dogs were present and sometimes were consumed. Dog burials during this time period are uncommon. As previous studies had done, the Illinois team analyzed genetic signals of diversity and relatedness in a special region (the hypervariable region) of the mitochondrial genome of ancient dogs from the Americas. University of Iowa anthropology professor Andrew Kitchen contributed significantly to this analysis. The researchers found four never-before-seen genetic signatures in the new samples, suggesting greater ancient dog diversity in the Americas than previously thought. They also found unusually low genetic diversity in some dog populations, suggesting that humans in those regions may have engaged in dog breeding. 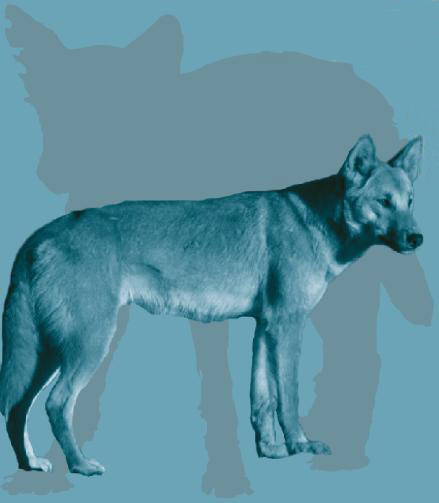 In some samples, the team found significant genetic similarities with American wolves, indicating that some of the dogs interbred with or were domesticated anew from American wolves. But the most surprising finding had to do with the dogs’ arrival in the Americas, Witt said. “Dog genetic diversity in the Americas may date back to only about 10,000 years ago,” she said. The current study, of only a small part of the mitochondrial genome, likely provides an incomplete picture of ancient dog diversity in the Americas, Malhi said. “The region of the mitochondrial genome sequenced may mask the true genetic diversity of indigenous dogs in the Americas, resulting in the younger date for dogs when compared with humans,” he said. More studies of ancient dogs are in the works, the researchers said. Witt has already sequenced the full mitochondrial genomes of 20 ancient dogs, and more are planned to test this possibility, the researchers said.